A week ago my modded xbox 360 slim's nand got corrupted. And when i turn it on, the power button becomes red, and i get an E79 error. Fortunately Xell reloaded works. The bad thing is i dont have a nand programmer, and whats worse is i dont have my nand for the console, so i need to create one in J-runner. So now i opened up my xbox, to know what kind of rgh chip i have, and to solder a nand programmer chip into the motherboard later. And if you ask why i dont opened up my xbox yet is because i just bought this in used condition. And as i said, i dont have a nand programmer chip, so i need to buy one. Its going to be a bit difficult to find one. And by the way, i have an Corona (4gb) motherboard in my xbox. If you have some tips or ideas for the fixing, then just reply. If it still boots xell that is good, and Iwould say dump the chip, especially if it shows the dvd key, which means the KV is intact, Also, being a corona 4g, chances are the nand chip itself is bad. they burn out more than 16mb consoles. There are many guides on conversions if that is needed, but they arent easy jobs, and require a certain amount of skill, and expensive tools the average person wouldnt have laying around. That being said there a tons of guides on the internet for dumping a corona 4g, soI would start there. As for the needed image , from what I can see, that is a standard corona RGH2 wiring, so you will need a corona 4g rgh2 image. You by chance didn't try and use xbdm.xex did you?? The unpatched one will cause this same error too.. or it might be e-78. Oh thanks! I hope its the right image. I'm not really familiar with rgh chip types right now. And yes, xell shows the dvd and cpu key fortunately. Also, i tried to dump the nand, but i had no luck. I tried via xell, via ip adress, nothing. Nah, i dont used that. I just used the newest DashLaunch, and Aurora, and also the built in ftp server for game copying, so maybe that could be the cause of the problem, but i'm not really sure. Alright, i ordered a nand programmer chip on "konzoluzlet.hu" (its a hungarian console shop if you're wonder whats that), and the sad thing is its out of stock, but i ordered one anyway, i can wait. 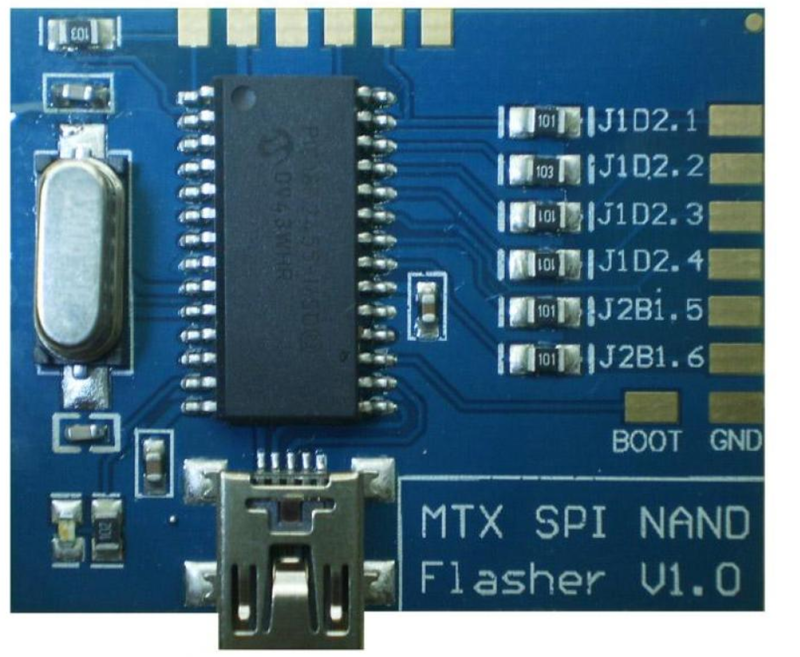 The chip is a Matrix NAND Programmer MTX SPI Flasher V1.0. I looked up, and its compatible with every xbox 360 motherboard, so hope its gonna work with my motherboard. That wont help you read a 4gb nand. Those are handled with SD card readers, and an adapter, or hard wires to a modified SD card reader. If you read what I said, you would have known you wanted a guide for a 4 gb corona. Now, if it turns out to be a bad nand, and you have the equipment and skill to do the nand conversion to 16mb nand image, then the device you bought will be useful.